Every smile needs basic general dentistry services to stay healthy and happy. 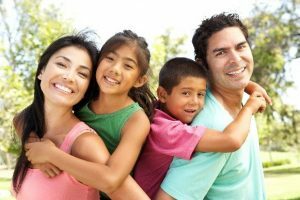 When you and your family find the right general dentist to work with, these basic services become a treat, not a chore. If you are seeking a knowledgeable general dentist in Anchorage, Dr. David Green of Turnagain Dental has you covered. He is knowledgeable and experienced in all aspects of general dentistry and wants Turnagain Dental to be your family’s source for your dental needs. Dr. Green stays at the forefront of his field through extensive continuing education courses so that he can provide patients with the finest care. Oral health is extremely important. Scientific research overwhelmingly shows a link between the health of the mouth and overall systemic health. People with gum disease are at serious risk of developing problems like stroke, cardiovascular disease and diabetes. 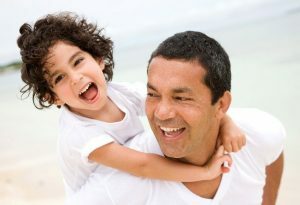 A great general dentist can help ensure you enjoy a lifetime of optimal oral health: Healthy teeth and gums for life! Dr. Green recommends patients see him at least twice a year for a check-up and teeth cleaning. (Some patients may need to come in more often than that if they are at a higher risk of dental problems.) His goal during these thorough examinations is to look for early signs of dental problems like cavities, fractures and gum disease; by catching problems early, Dr. Green can recommend the best treatment in order to avoid extensive dental treatment down the line. During a cleaning, special instruments are used to access the nooks and crannies of the teeth that a toothbrush can miss. Patients find that their mouth feels clean and their breath is fresher after a professional teeth cleaning. Digital dental X-rays are an important preventative and diagnostic tool. They allow Dr. Green to identify problems between the teeth or underneath the gum line that a visual exam can miss. Our team prefers digital radiography because it exposes patients to far less radiation than traditional X-rays. Sealants are a great way to protect the teeth from the buildup of bacteria, which can turn into plaque and tartar. These plastic coverings are placed over the chewing surface of the teeth (usually the molars) to block bacteria from settling into the tiny grooves and pits on the tooth. Dr. Green often recommends dental sealants to his youngest patients. Fillings are restorations used in cases of cavities. Dr. Green removes decayed tooth structure and fills the space with the filling material. Traditional dental fillings were metal or amalgam, but Dr. Green can now also use tooth-colored fillings, which blend in effortlessly with the remaining healthy tooth structure. No matter what your general dentistry needs are, you can be sure of a positive and productive experience at Turnagain Dental. We promise to make your appointment comfortable and free of stress or pain. To book your biannual teeth cleaning and exam, or inquire about one of our other general dentistry services, we welcome you to call or email Turnagain Dental today. We look forward to helping you and your family enjoy happy, healthy smiles for life.